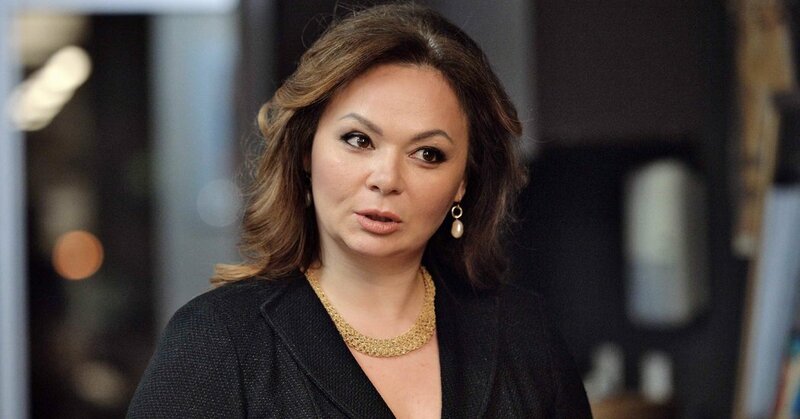 White Collar Watch: Russian Lawyer at Trump Tower Meeting Is Indicted in Another Case. But Why? The indictment unsealed this month charging Natalia V. Veselnitskaya, the Russian lawyer who met with Trump campaign officials in June 2016, with obstruction of justice in another case raises an interesting question: Why would the Justice Department pursue a case in which there is little likelihood of ever getting the defendant to the United States? The charges stem from a civil asset forfeiture case filed two years ago. Ms. Veselnitskaya is accused of making false statements in that case to thwart a money laundering investigation involving her clients, Prevezon Holdings and its owner, Denis P. Katsyv, an influential Russian businessman. According to the Justice Department, the defendants financed real estate purchases in New York to hide funds as part of a tax evasion scheme. In an interview with Yahoo News, Ms. Veselnitskaya said that she would not return to the United States but planned to use “all methods” to defend herself. That may sound like a protestation of innocence, but by refusing to come to the United States, she can avoid having to defend herself in court because there is little prospect the Russian government would extradite her. The Justice Department’s decision to indict Ms. Veselnitskaya may be an effort to send a message that the civil asset forfeiture case was tainted by her actions. The United States attorney’s office in Manhattan has been smarting ever since it hastily settled the case in 2017 for $6 million. During the Prevezon investigation, United States prosecutors had asked the Russian government for help under a mutual legal assistance treaty. The Russian government refused and instead produced a document that purported to exonerate Russian officials and Prevezon, according to the indictment. In a submission to the federal court, Ms. Veselnitskaya stated that information in the document came only from the Russian government. But according to the indictment, Ms. Veselnitskaya secretly worked with a senior Russian prosecutor to draft the document, receiving multiple drafts and helping to write it herself. The document was part of an effort to resist the Justice Department’s request to have the judge enter what is called a summary judgment, which would have established that the money was the proceeds of criminal conduct. The court denied the request of prosecutors, helping her clients prolong the case. Even though the indictment is unlikely to be tried, the obstruction charge is an interesting piece of a much larger puzzle as part of the Justice Department’s investigation of Russian interference in the 2016 election. Charging her with obstruction of justice could be a step toward raising additional questions about the meeting she had in June 2016 at Trump Tower with Donald Trump Jr., Jared Kushner, and Paul Manafort, the Trump campaign chairman at the time, and serve to undermine her statements about the meeting. By charging her, she would effectively be unavailable as a witness if prosecutors want to pursue other participants in the meeting. But it also raises questions about whether more will come out about her role in the 2016 election, and whether she provided other assistance on behalf of the Russian government. The obstruction of justice indictment may be just the first step in a much broader effort to show the role Russia played in the election and its possible collusion with the Trump campaign.